Looks like summer’s finally arrived, and thoughts turn to holidays. 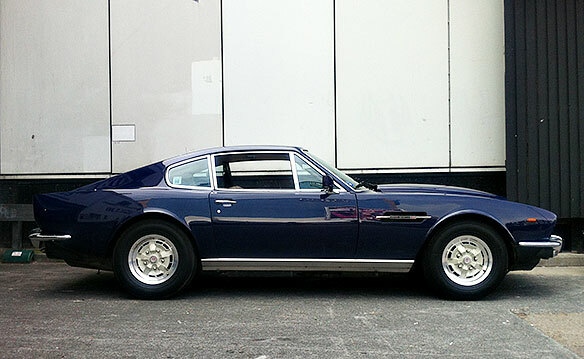 Classic cars seem to be so much more characterful than almost any new car. The most hideous thing I saw recently was a Bugatti Veyron in a custom silver/red paint job cruising around Harrods. It had Middle Eastern plates and someone had obviously just flown it in for their London 2012 Olympic holiday. It was certainly drawing the crowds, but in the same way as paps around Paris Hilton. 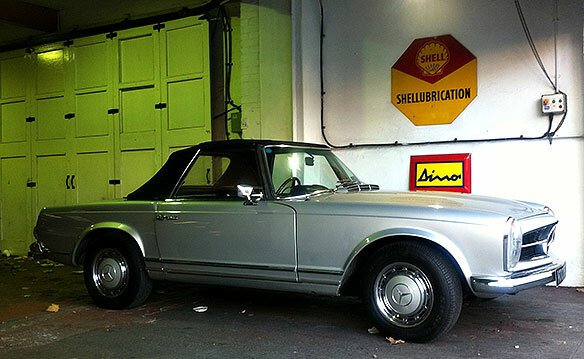 A nice Mercedes SL pagoda top would be great for a daytrip to the coast, but I had my eye on the Aston – perfect for a grand tour down through France or across the Alps. 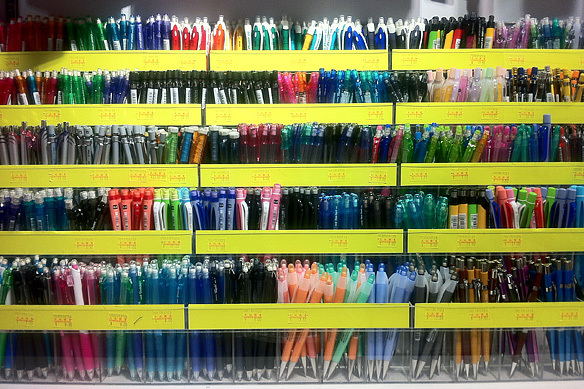 A random guilty pleasure is sniffing around stationery shops when I’m abroad on a trip. Even though I hardly ever write a letter or card, save for a scribble on the back of an envelope or a quick shopping list, there’s nothing nicer than the thrill of the chase of finding a great new pen. And I’m not talking about something all snobby and elitist like some monster-sized Mont Blanc – just a great everyday ballpoint/rollerball. Even in this age of touchscreen smartphones and laptops there’s just something nice about a good pen. It reminds me of a press ad that Wieden + Kennedy produced for Honda that was just a cut out still life of a banana.